Innovation underpins everything we do. We stay ahead of our competitors by supporting a world-class in-house research and development team. 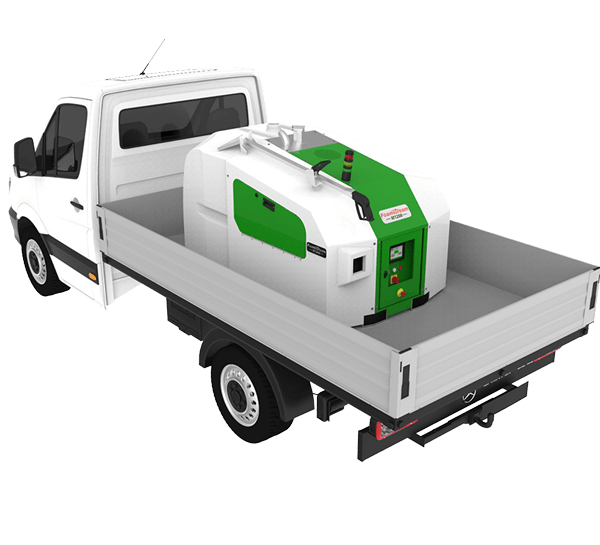 Whether pioneering industry-leading technology or moving towards cleaner fuel sources, at Weedingtech we look to provide our customers with the best possible value from their machinery. We incorporate innovative technology and data driven solutions wherever possible, delivering optimal performance and unrivaled results every time. Committed to providing technology to customers across more than just the municipal and utility sectors, we constantly work towards our next innovation. Agriculture is a key focus for the future. As the legislative bans evolve year on year, we understand the need to provide the best solutions across parts of the agricultural space, such as horticulture and viticulture. The Internet of things (IoT), a core feature throughout our product range, provides our customers with next-level insight in to their machines and operational activity. Unlocking this data empowers customers to accurately measure their cost of operations and minimise downtime, by increasing operational efficiency. In addition, the IoT provides pre-emptive information on system maintenance and operations, ensuring customers get maximum value from their assets. Committed to driving down the environmental impact of our technology wherever possible, we focus on incorporating leading innovations in our machinery to help move away from fossil fuels and towards more sustainable energy sources. As manufacturers, it’s critical that we build products that fit our customers needs and solve their challenges. By sourcing the highest quality componentry and partnering with leading manufacturers who adhere to the highest standards and quality controls, we deliver industry-leading technology. By manufacturing across numerous sites in numerous countries, we ensure we have a robust supply chain that will always deliver the right part, to the right place, at the right time. Supply chain: Our global supply chain provides us with scalable flexibility to meet increasing customer demands and delivers full process traceability as our customer base increases around the world. 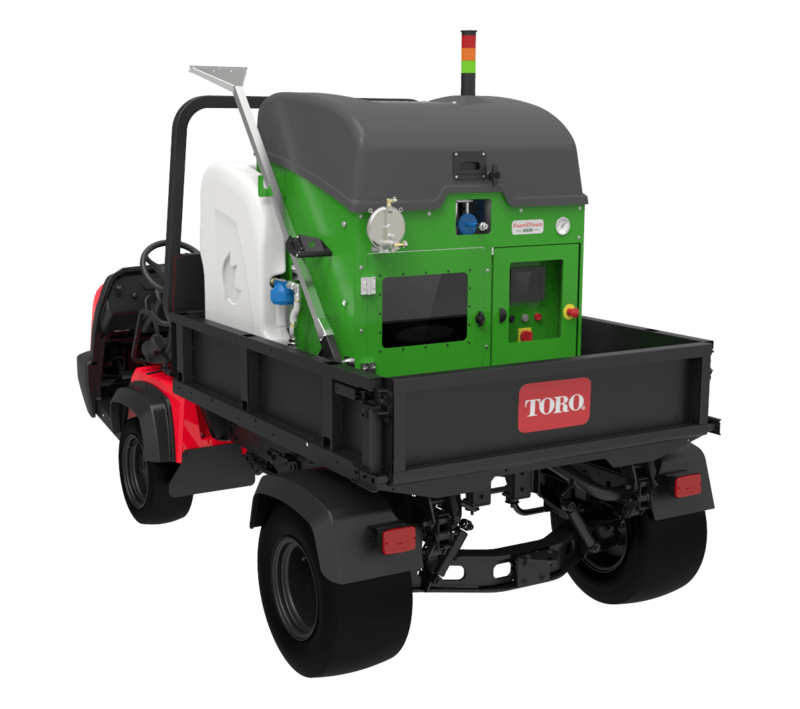 Whether looking for a solution to your weed control and street cleaning challenges in New Zealand or New York, we have an excellent partner network of tier-one Toro, John Deere and Promodis distributors, amongst others around the world. Our partners have a deep understanding and experience of both the sector and the technology, along with a shared desire to solve customers’ challenges. To make our products and our partners as accessible as possible, we have a range of finance packages to help bring you our leading technology in the most affordable way. Partnering with tier-one distributors ensures that our customers always receive the very best in service and aftercare support. Our partners guarantee responsive support at all times, ensuring you don’t waste time or money waiting for problems to be fixed, or parts to be supplied. At Weedingtech we take special care to ensure you receive world-class aftersales support, either directly from us or through our global network of distribution partners. Interested to know more about Foamstream? Get in touch today to see how Foamstream and our team can help your organisation become less reliant on herbicides.